Today's card can be made in less than ten minutes and is a great solution when you need a card quickly. From cream cardstock, make 3.25” x 5” card base. 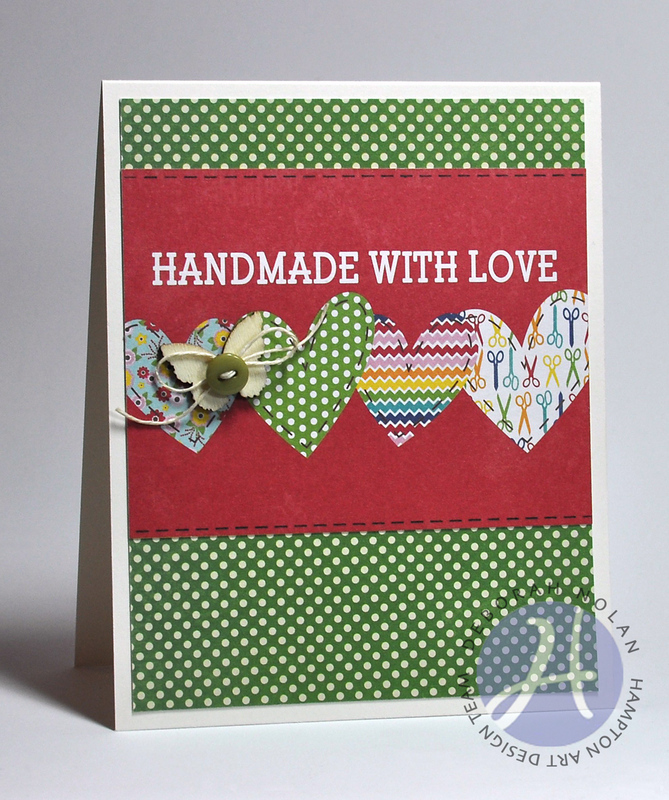 Cut panel of Birthday Bisque green polka dot PP and adhere to card. Cut Sew Sweet Sunshine Soup sentiment panel and adhere. Draw stitches on top and bottom of sentiment panel. Thread button with floss, tie into bow and adhere to wooden butterfly. Adhere wooden butterfly to card.